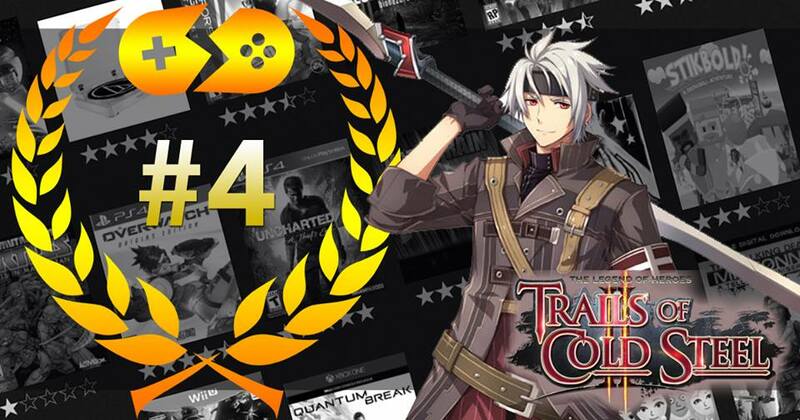 Ranked fourth on our Top 10 Games of 2016 is The Legend of Heroes: Trails of Cold Steel II developed by Nihon Falcom and published by Xseed for the PlayStation 3 and PlayStation Vita. The first Cold Steel was released stateside a few days before Christmas, so while we absolutely loved the game, there was no way we could finish it on time for it to qualify in our Best of 2015 list. Luckily, its direct sequel came out a mere nine months later, and since it’s everything the original was and more, we’re putting it here. The Trails games are everything we want a modern JRPG to be. Its roots are purely turn-based and while the system takes a bit of a different direction from The Legend of Heroes: Trails in the Sky, it’s still largely the same system we’ve come to know and enjoy. Cold Steel II‘s story is not for the faint of heart either; the lore within the Trails series is beyond expansive. The Cold Steel games follow the happenings in the Erebonian Empire, whom are thought of as evil compared to the rival nations as experienced in the other games, but as so the game does with its great cast of characters — there is more than one side in a war. The series has done nothing to stir us wrong, and we remain as excited as we ever were for the release of The Legend of Heroes: Trails in the Sky the 3rd next year, and we can’t help but tear through any announcement we find regarding The Legend of Heroes: Trails of Cold Steel III, which is currently in development for the PS4 in Japan.